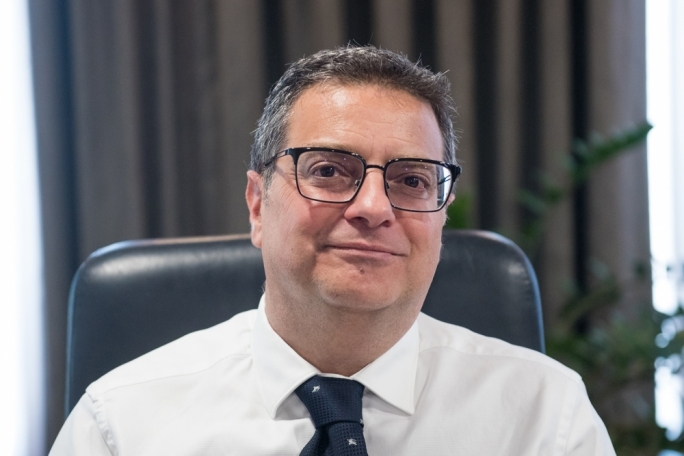 One year after being elected leader of the Nationalist Party, Adrian Delia has more questions than answers as he tries to find his party’s raison d’etre. Let me take you back 15 years when Malta voted to join the EU. The PN at the time had led the country to membership. One of the rallying calls of those opposed to membership was that foreigners would come and take Maltese jobs. Today, it appears the PN is fanning the fear of foreigners. What changed? I was one of those who voted in favour of EU membership because the PN always believed the Maltese were capable of taking charge of their own destiny. The party always believed in the Maltese and their ability not to depend on others and not fear the challenges ahead. This is why we achieved independence because we were capable of telling the world, ‘We are Maltese’. The same happened with EU membership when we did not fear joining a much bigger market. The PN is not scaremongering. I am being critical of the government’s lack of forward planning. I am criticising the government because in everything it does there is no thought or logic that indicates where it wants to go. If we are the smallest rock in Europe, the most populated, with the worst air quality, the highest level of traffic congestion and the steepest time of arrival between one destination and another, and I ask the question where will the 70,000 foreign workers expected over the coming four years live, the Prime Minister has no answer. I am not scaremongering but asking. But you lead a political party that aspires to be in government. Everybody can ask questions but people expect solutions from you. Are you suggesting closing the door to foreigners? Absolutely not. I am asking the government not to continue believing that it can develop the economy only by increasing population size. The economy can grow by producing more. We only have 40% of women who are in the labour market. We need to give more incentives to encourage more women to go out and work. We have the opportunity to encourage our pensioners to offer a few more years of work without losing their full pension. The thousands we need are available. We have to understand that 70,000 foreigners in a working population of 200,000 is a very strong percentage. I am not against foreigners, or against increasing the population size but if it is done in such a short timeframe it will have consequences. Increasing the female participation rate and encouraging more pensioners to work may not be enough. 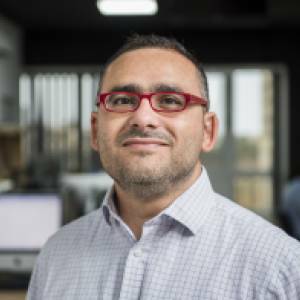 When you visited the Farsons brewery, Louis Farrugia told you that unless the company employed foreign workers it would not be able to keep up with production as a result of economic growth. The government has not yet said which sectors it wants to grow. The government has not yet decided on a clear direction and vision for this country. I don’t want the economy to grow only through population growth. I want economic growth to come from sectors that provide value added as had been done by previous Nationalist administrations. I want entrepreneurs to come here; directors and executives. If these people employ 4,000 people, they do not need to stay here but can be working remotely. We can decide to have a tourism sector that attracts two million visitors, 2.3 million or more but the bigger it grows, the more it destroys that which tourists come here to see. Let us better the tourism sector, invest in it and improve the quality not the quantity. Let us give this country a direction. The government is ignoring demographic change. Government is only interested in doing things to win the next election, like it has always done. If we want to be serious about running the country, we have to plan over a 30-year span. The government said it wants a cosmopolitan Malta. Does this mean we will get more palaces of stone and concrete, and worsening air quality? We are adding 1,000 new cars every month, which will rise to 60,000 by the next election and we have not invested in a public mass transport system. At a time of surplus, where is the capital investment on projects that will serve this country for the next 30 years? We are not scaremongering. The PN is inviting people to think. Employers today tell you the demand for labour is across all sectors and at all levels. Doesn’t this policy of yours stifle economic growth? The labour demand is across the board. But can we first agree on the direction for this country? 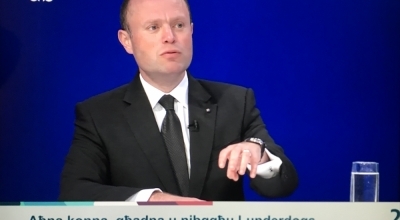 Is anybody asking how many people will be living in Malta in 20 years’ time? If this country will have a population of 800,000, how many schools will we need? How many hospitals will we need? How many roads will we need? How many more supermarkets will the country need? How many more residential buildings will we need? And will this construction take place in outside development zones? Will we continue to disregard the already destroyed natural environment? If 70,000 foreigners come here over four years, where will they sleep? Will we put them in underground garages, in gardens, on pavements, in farms? Every EU citizen has a right to come and work here. I do not even consider these as foreigners. But my criticism is not based on the country of origin, colour or creed of foreigners but on the government’s lack of planning. Government has been caught in a vicious cycle of trying to sustain an economy that is overheating. You say you are not racist and that Malta is obliged to save the lives of people at sea. But then you speak of migrants as if they are a problem. You also had an MEP candidate, Dione Borg, expressing discomfort at the fact that migrants are opening shops in Marsa and Hamrun. What message is the PN trying to send? I am absolutely not racist and the problem is the government, not the migrants. But there is a context. Europe spent hundreds of years exploiting Africa’s resources and its people. Europe is now obliged to give Africa something back, by investing and helping create stable governments that encourage Africans to prosper in their own countries without the need to escape. This will not happen overnight and Africans will continue escaping poverty, war and hardship. This is something everyone agrees with. The issue is what do you do with the people that are rescued once they are on land. Whenever the Maltese government follows its international obligations, I will support it. There is also a humanitarian obligation towards these people. Malta can serve an important function to save people but there is also Europe’s responsibility to distribute among member states those who have a right to stay and send back those who do not. Europe cannot expect its smallest member state to shoulder all the responsibility. While the government cannot be held responsible for what happens in Africa, it has the responsibility to address the problem of lack of security in Malta... Shouldn’t the government guarantee that our villages and towns are safe? Is this racism? The problem is that you link this situation to migration. No, I link it to criminality and government’s inability to admit there is a problem that has to be addressed. If we are having one incident after another, how can we continue investing less money in the police force? The government has a duty to ensure that Maltese and those whom we welcome among us, live in peace and security. I see nothing racist with this. Does it irritate you that migrants open their own shops? Whoever has a legal and legitimate right to stay in Malta can, with the necessary permits, work, pay taxes and live a normal life. This is only natural. We’ve had Indians, Serbs, Italians, Swedish people and others who have been living here for many years. The problems are only surfacing now because the government has abdicated its responsibility to ensure our communities are safe. Our police officers are doing all they can with the limited resources they are given. You have repeatedly expressed fear that Malta is losing its Catholic identity. You have on occasions tied this to the influx of foreigners. Who is threatening Malta’s identity? What is worrying you? I am not scared. What I am saying is that we should not feel uncomfortable to pronounce what makes us Maltese. Last Sunday the reference you made to identity was linked to migration, so much so that you were rebuked by several human rights groups. It transpires that 80% of those groups that came out criticising what I said did not even hear my speech. LGBTIQ groups came out criticising what I said when I made absolutely no reference to LGBTIQ issues. I was accused of incitement and being in breach of the Constitution. Can anyone tell me where I incited people to breach human rights? Should we forget the fundamental human right to be safe in our country? But a discourse which implies migration is a threat to identity risks categorising a section of people. I did not speak of fear but of pride. Let us not feel uncomfortable saying that we are Maltese. Let us not be scared to say who we are. Being proud of who we are is not a problem but some things you mention are changing because the Maltese want to. In 2011 divorce became a reality in Malta because the Maltese voted for it, not because of foreigners. For some, divorce changed Malta’s traditional family set up. I am not passing judgement on what is right or wrong. I am not tied to the past. As a politician, I have a duty to instigate a debate. I have a duty to ask whether we are prepared to accept an influx of foreigners in such a short period. Do we know what the consequences may be? Do we know where they will stay? Will the infrastructure cope? Is our society changing in a way that we want it to? I am not saying that we should stop change but we have to think about it and study it. In your first mass meeting speech during last year’s Independence Day celebration, you used the words ‘Catholic and Latin’. Is the PN a party for Catholics? The party hymn states so. Today, the wider interpretation of Catholicism and Christianity includes the notion of tolerance. This means being open to others without imposing your beliefs. There are other religions and cults that are intolerant. I am open to everyone. There are others [religions] that are invasive and do not tolerate other beliefs. If the Muslim community in Malta wants to build another mosque, will you be against? The last I heard from the Muslim community on this matter was that they could not build a new mosque because they had no money and expected the government to foot the bill. They then wanted to attend State schools and learn their religion. These are very sensitive issues. I acknowledge that society is changing in a fast way but we need to hear what people say. There is no one single Islamic denomination. Will it be a Sunni or a Shiite mosque? Will it belong to extremists or moderates? Will it belong to those who are tolerant or to those who preach terrorism? We have to think about it. On divorce, will Adrian Delia the prime minister remove or change the law? Last year Malta introduced full marriage equality, which meant gay couples could get married. Will you as prime minister rescind that law? There were people inside the PN against that law. In my view, a marriage contract is a bilateral agreement, which the couple enter into consensually and which they can also decide to terminate. I consider that to be part of the civil realm and not the realm of religion or morality. Gay couples can now adopt children. Will you change that? They always were able to do so. Our adoption law already allowed this. The parameters were the minimum and maximum age and the difference in age between the adopter and the adoptee. Is the PN comfortable with adoption of children by gay couples? You are asking Adrian Delia. But you are also leader of the PN. This is an issue of the past and so I have never held a debate on it. If new issues crop up, I will hold a debate within the parliamentary group. I cannot answer for the others. You are asking me and I am being clear. MaltaToday’s monthly trust barometer not only shows you lagging far behind the Prime Minister but, more crucially for you, is the fact that you have not yet won over the trust of people who voted PN in the last election. There appears to be strong resistance among PN sympathisers. Why? I was a newcomer to politics and many who voted for me [to become PN leader] did not know me. They voted me in because they wanted things to be done radically differently. As things stand, there are those who believe I am doing too much and others who feel I have not done enough. The process [of change] is ongoing. The PN spent 25 years in government and five years in Opposition and we have been losing votes from one election to another. This is not a problem I created. Isn’t it worrying that you have failed to make an impact with PN voters? I do not worry. I try to understand and interpret the surveys. We have to open our ears, eyes and hearts to feel the pain and our minds to be open to new ideas – not all of them. We have to stop believing we have a right to be in government. We have to persuade people. We have to be able to applaud the government when it does good and believe that we can do better. We have to fight corruption but we also have to fight hate. We have to become a people’s party in a caring society and in four years’ time present a set of ideas for radical change. You have an electoral appointment in May next year. What is your aim for the MEP election? The MEP election will be the training ground. My aim is to attract people to contest with the PN, which will show people that the party is changing. Next Thursday the Planning Authority board will meet to discuss the permit application filed by the db Group for its project in St George’s Bay. How will the PN representative vote? You have to ask her [Marthese Portelli], not me. The direction I gave the party is that any decision should be taken on the basis of whether the development satisfies existing policies, irrespective of who is behind it. If there are shortcomings in policy terms, she [the PN representative] should vote against. Do you know how Marthese Portelli will vote? I leave people free to make their own decisions and this includes local councillors. Karol Aquilina and Simon Busuttil attended a protest by Pembroke residents against the db project. We don’t know how Marthese Portelli will vote. You met with the developers. Is the PN trying to be everything to everyone on this issue? Absolutely not. Karol Aquilina was elected from the district and has a duty to listen to his constituents and voice their concerns. Marthese Portelli’s duty is to study the regulations, understand what the project is and vote according to existing legislation. I did not delve into the details of this particular project. I have not studied it. I will not be voting on it and will not be telling Marthese Portelli how to vote. Would you have preferred it if Simon Busuttil resigned from Parliament? I never thought about it. Normally, every club president, party leader or group leader, leaves when resigning his post. Simon chose otherwise. I invited and asked Simon to tell me how best he could contribute to the party. I told him he still had a lot to contribute to politics. If Simon Busuttil finds ways of helping the PN to win more votes that will be a good thing. If not, then I believe his place is not within the PN.